In one ancient world, there was a place where strange majicks and demihuman races thrived. The “Vanished Lands” were blessed by the gods and cursed by prophecy. Travelers became adventurers, and adventurers strove to be heroes in the face of many perils and wonders…. A band of onetime circus performers had sought adventure on the northwestern Plains of Sathendo. They freed Goblin slaves, investigated intrigues in the Saganim human capital, and defended the port of Sileran from an attack by giants. “Vistel’s Expedition” also sailed to the wondrous city of Falit and the Zarendo Islands, where it infiltrated a Temple of Elemental Evil. After journeying to the barbaric port of Gisar, the wanderers traveled through time and space to rescue Tempestade’s kin. Back on the Plains of Sathendo, the command crew of the airship Zephyr confronted the mysterious Vappu Lahja in the occupied town of Kedetura. It neutralized several of her Centaur followers and magically imprisoned the pale sorceress. After rescuing the founders of Vistel’s Circus from more Unseelie Fey, the groupTeleported but found itself not at the Zephyr, but in the Astral Plane! They joined some Githzerai in preparing to raid a floating Githyanki tower. 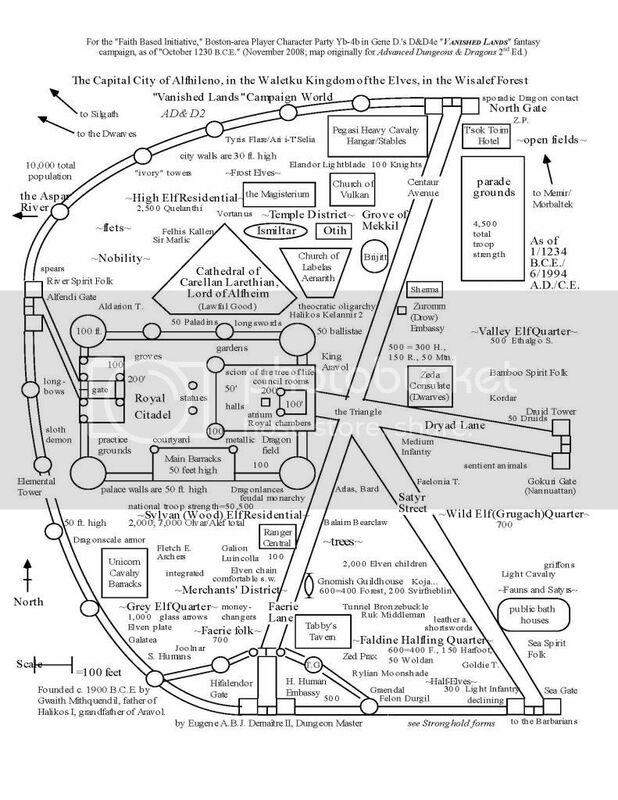 “23 May to 31 August 1227 B.C.E. 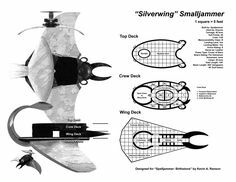 :” Rek’elma explains that the Spelljammer T’unarathi (“Dragon Rider”) is disguised as a Githyanki ship. The gray-skinned Githzerai says that he’ll be wrapped up as one of his hated foes, while most of his crew waits below decks to attack. The outlanders will have to take point, he says. Giacomo casts Shield on himself as the T’unarathi approaches a spherical island with four towers and a docklike projection. Tarwen Teleports out uncontrollably and is replaced by Scully, who is initially confused. Corwin demands time to recover his spells. The impetuous Bard then dons his hat of Disguise and casts Comprehend Languages and Displacement. Elsa prays to patron deities Vulkan (Moradin) and Mekkil (Gaia) for guidance regarding how metaphysics works in the Outer Planes. The Druid then Wild Shapes into a mouse and jumps into one of Rhys’ pockets. Rhys is excited to be on a Spelljammer, but the Tinker Gnome is worried when his Bag of Holding, which contained his automatons, is seemingly empty. The T’unarathi floats next to two void cruisers. 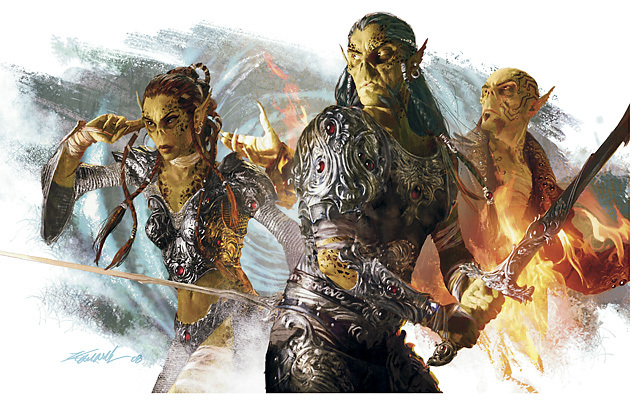 Four Githyanki, plus two more with red armor and strange pistols, watch the gangplanks behind Walls of Force. Corwin, disguised as a Githyanki, sings to Enthrall the guards. The Half-Elf also asks about Vappu Lahja, for whom he claims he has a gift. Ranger Scully is intimidating in her true form, an albino Gnoll. Wizard Giacomo cackles happily with his homunculus familiar Gerald. Rhys hides, and Elsa casts Calm Emotions. The red guards notify Capt. 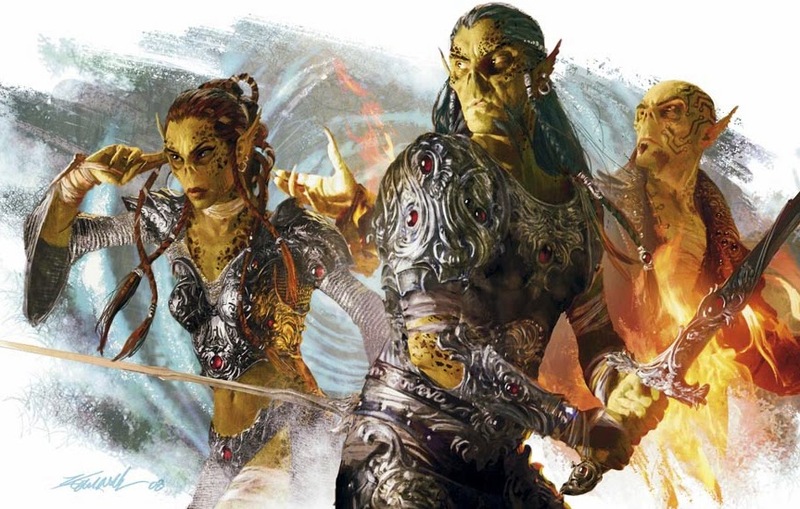 Perragroup, who was recently stationed at Sheldar and mentions something about a “mating run.” The gaunt Githyanki orders the sentries to take the newcomers to commander Vimhanock. As they follow the Githyanki into the fortress, Corwin casts Web on two guards. Rhys holds his action, but Elsa helps create a diversion as a scurrying mouse. Giacomo casts Obscuring Mist. Scully quaffs a potion of Invisibility, and Rek’elma disembarks with 12 crewmates. Hifalendorin human Giacomo casts Reverse Gravity, causing some of the Githyanki to float. Hill Dwarf Elsa Wild Shapes into a dire bear, and Rhys dodges plasma blasts from the pistols. Saganim prince Corwin casts Wail of the Banshee, and Scully races down corridors looking for traces of Vappu Lahja. Rek’elma’s Githzerai engage the Githyanki guards in a running battle. Elsa is wounded in the crossfire. Giacomo casts Ray of Enfeeblement on Capt. Perragroup, and Elsa casts Dominate Animal against a snarling Gith hound. Corwin’s Fireball incinerates the eight hounds, as the raiding party reaches the quarters of the void cruiser captains. Scully uses Find the Path, while Giacomo casts Magic Missiles, killing the last Githyanki. Elsa drops Perragroup and mauls a guard. Rhys runs after Scully, and Corwin draws his sword and dagger. They find a room with six exits and go down. A ball of coins floats at the center of a spherical chamber, and a large red dragon coils around it! She awakens, pinning Rhys to the wall and grabbing Invisible Scully with a clawed hand. The Githzerai fight off Githyanki reinforcements while the Zephyr ’s away team looks for Scully and Rhys. The Gnome artificer tries to talk to the dragon, who pushes him out of her chamber. He then reports to his companions that Scully is held captive. The wanderers warily approach Itolpakugon, who says in a smoky voice that her kind has an ancient pact with the Githyanki. Elsa claims to be a trader “cheated by Perragroup.” Giacomo readies a Contingency spell on winged Gerald. The red dragon says that she wants freedom for her son, who is being used as a steed by Capt. Okemokik. 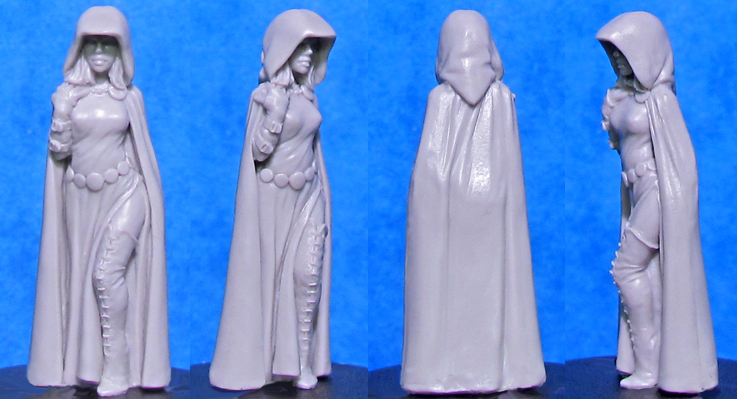 In return for clearing the citadel of Githyanki, Itolpakugon will grant the group access to “the pale lady” (Vappu Lahja), who may be as much a prisoner of the Githyanki as a guest. Itolpakugon teaches Corwin a song so that her son will recognize him as her ally. Scully is released, but she notices the scent of three dragons in total. The group ascends to the officers’ quarters. Giacomo uses his robe of Blendingand casts Invisibility on Gerald. 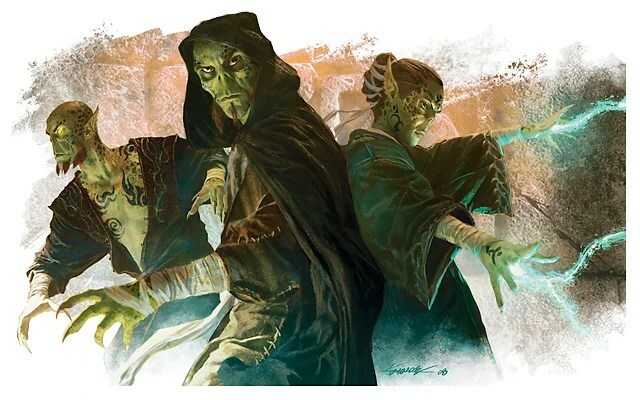 They sneak past the rooms of Gish (Wizards) Morkemo, Toroka, and Vlakith. In the last chamber, the group sees a statue of the Lich Queen on an altar. Okemokik rests on cushions in another room, apparently spent after a “breeding session.” Itolpakugon’s son lies nearby. Elsa crawls to a corner of the room and tries to calm the dragon. Scully draws her bow and waits in the hallway with Rhys, who borrows a short sword and masterwork short bow. Corwin sings Itolpakugon’s lullaby, but Okemokik jumps up and casts Magic Missile at the infiltrators. Giacomo sends Silenced Gerald into the room to limit the Githyanki’s spellcasting. Elsa’s Dimensional Anchor is unsuccessful. Scully and Rhys fire at Okemokik but miss, and Corwin casts a Lightning Bolt at him. The enemy captain’s Touch of Corruption fails, and he jumps into a black tapestry! Corwin chases Okemokik through the magical portal. Elsa binds wounds and manages to get the young dragon to go back to its mother, and the rest of the group follows Corwin. 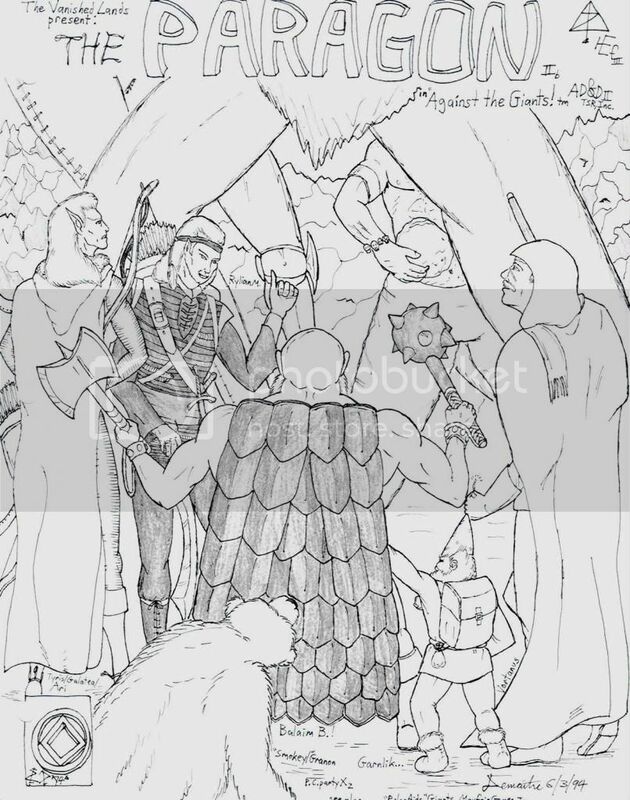 They find themselves in a throne room with a female Warlock, her honor guard, and a Shadow Knight, as well as Okemokik. Thanks to his hat of Disguise, Corwin appears to be Mikanuck. The Bard joins the Githyanki in laughing at the injured Okemokik but refuses when the Shadow Knight orders him to kneel before the Warlock. The Shadow Knight tries to strike Corwin, but his Armor of Retaliation reflects the blow. Corwin casts Wail of the Banshee, which kills four guards and the Warlock’s Mephit familiar, and the party wades back into battle. Okemokik and the surviving guards miss, and the Warlock casts Lightning. Unfortunately, for Okemokik, he is fried when Corwin’s ring of Spell Battle redirects the bolt at him. Rhys jumps on a guard and pulls his former Bag of Holding over his head. The Warlock casts Control Undead to direct her slain sentries and familiar, and Scully limits enemy spellcasting with Silenced arrows. Giacomo casts Magic Missile against the Warlock’s Shield and Ray of Enfeeblment against another guard. Elsa Wild Shapes into bear form and charges. The Druid fights the resurrected Githyanki with a Positive Energy Burst and Invisibility to Undead. The Warlock Dispels the Silence from Scully’s arrows and casts Cone of Cold at Elsa. Rhys suggests retreating, and Scully casts Heat Metal on the Shadow Knight’s armor. Giacomo manages to slay the Warlock with Mage Sword, and another Positive Energy Burst finishes the Shadow Knight. Scully follows Vappu Lahja’s scent back past Itolpakugon and Akko’sutor. The voyagers prepare to fight the pale lady. Giacomo casts Silence on stealthy Rhys, who is also carrying a wand of Dispel Magic. Corwin casts Eagle’s Splendor, Greater Heroism, and Displacement on himself, while ursine Elsa Enlarges herself. Giacomo also casts Mage Armor and Shield as scouts Scully and Rhys enter the room. They see another shrine to the Lich Queen and another tapestry. However, this one appears to be burned out. Rhys and Corwin also find a concealed door. It leads to a narrow passage trapped with Teleport and Divide the Soul wards. 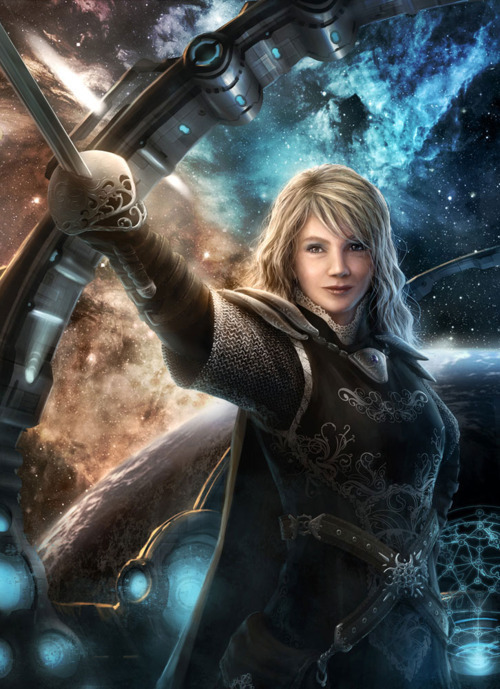 The team backtracks to the throne room, where an undamaged tapestry could lead home. 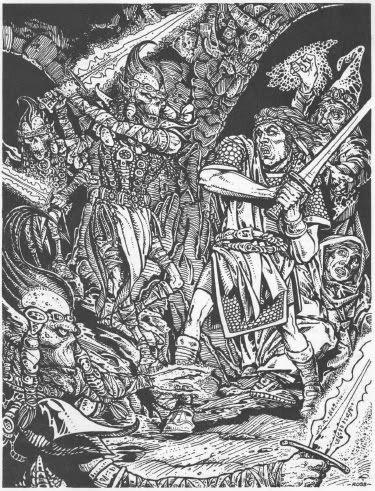 The travelers enter the tapestry and get a brief glimpse of a certain Pit Fiend who has been hunting them. They find themselves in tall wheat fields — apparently, spring has turned to summer back in the “Vanished Lands” while they were in the Astral Plane! In the distance, Scully spots the walled town of Kedetura. The Zephyr is fighting a red dragon, no doubt Itolpakugon’s other child, who is being ridden by none other than Vappu Lahja. Giacomo, Corwin, and Rhys Teleport to their airship. The Gnome engineer notices that the gas bag is filling with water, probably as a result of the Pale Lady’s spells. Scully and Elsa turn into horses and approach Kedetura. They are relieved to see that most of Vappu Lahja’s Unseelie followers are gone. Rhys dumps his again-full Bag of Holdling at Vappu Lahja and her dragon steed, forcing them to make evasive maneuvers. Corwin tries to leap onto the dragon but misses. Fortunately, the acrobatic aristocrat manages to cast Web to swing back onto the Zephyr. Giacomo wraps his Whip of Entangle around Vappu Lahja’s throat, pulling her out of the saddle. Elsa Wild Shapes into a falcon to fly up to the fight, just as the dragon breathes fire on Corwin and Giacomo. Vappu Lahja manages to free herself from the Wizard’s whip, and she casts Fly to try to escape. Rhys uses his ring of Featherfall and dives after clockwork butler Vasco. Corwin casts Ice Storm, and Giacomo casts Form of the Dragon so that his familiar Gerald is a match for the red dragon! Elsa climbs the dirigible and dumps Dust of Dryness into its gas bag to keep it from crashing. The red dragon casts Summon Swarm, gathering wasps, and it claws at Gerald, who breathes fire at it. Vappu Lahja heads toward some woods outside of Kedetura. 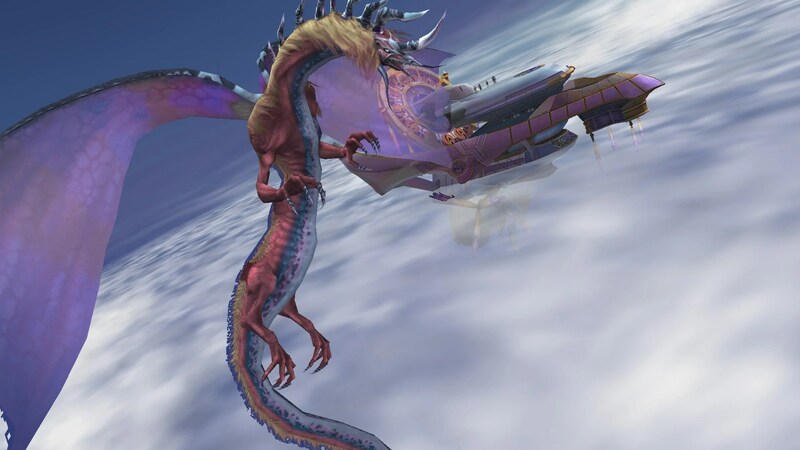 Rhys uses a wand of Silence on his clockwork dragon, which then flies after the sorceress. The woman in white robes resists Giacomo’s Hold Person, and Elsa Summons Nature’s Ally, conjuring an air elemental she nicknames “Gusty.” Rhys watches as some of his automatons hit the ground, and he uses the wand of Dispel Magic on Vappu Lahja, forcing her to land. Elsa uses a Positive Energy Burst to heal Giacomo, and Gusty uses a whirlwind to disperse the swarm that the dragon summoned. Vappu Lahja Heals herself and runs, but her former steed fumbles in its aerial attack on Gerald. Elsa impales Vappu Lahja, who had incited racial hatred between Centaurs and other fey against human farmers, with javelins of Holy Ice. Corwin casts Storm Bolt, slaying the witch. Giacomo restrains the red dragon with a Force Cage, and Corwin and Elsa help it return to its senses with the song from Itolpakugon. Gerald returns to homunculus form. After some discussion, a Plane Shift spell sends the dragon home to its mother. The exhausted explorers are hailed as heroes by the Hifalendorin human residents of Kedetura. Wizard Giacomo plans to return with girlfriend “Dread” Maggie Oakleaf to Hesolin’s Magisterium (magic school/library). Ranger Scully is happy to be reunited with Wolfen Paladin “Capt. Niac” [Mike F./Non-Player Character] aboard the Zephyr. Gnome engineer Rhys also decides to stay with “his” airship, and Elsa recommends using the city of Falit as the home base for her long-range communications network. Corwin plans to track down his hated foe, the Tielfing mage Lord Dalek, and scheming half-brother, Prince Daven, in Undead-ruled Gisar with help from Melchior. The Bard then hopes to resume courting Princess Priscilla of Hifalendor. The Zephyr sails off with its brave crew into the sunset…. Thanks again to guest Game Master Jason, and I hope that everybody enjoyed this D20/FATE campaign over the past two and a half years! I look forward to wrapping up the “New Dawn” telecom team and continuing our adventures in the “Vanished Lands” with our first D&D5e parties! Posted on May 15, 2015 February 16, 2016 by GeneD5Posted in Fantasy & Steampunk, Games, Vanished LandsTagged D20, fate, legends of anglerre, pathfinder, rpg, update, Vistel's Circus, Vistel's Expedition. “16 to 19 May 1227 B.C.E. 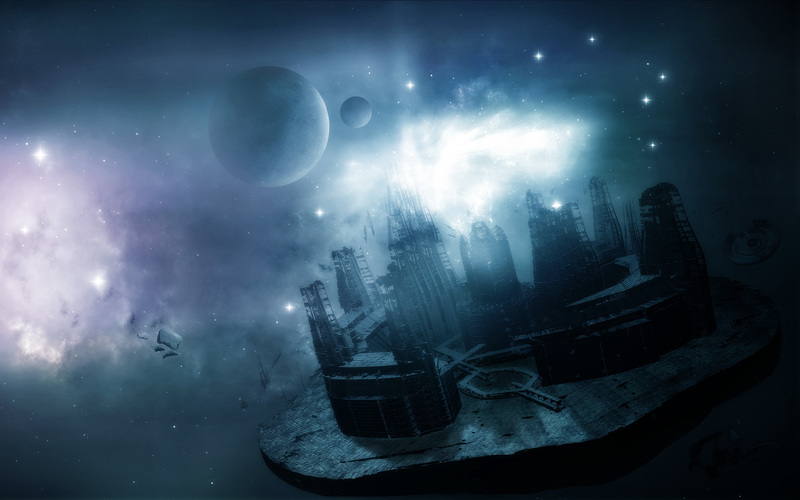 :” The Zephyr ‘s away team traveled to Alfhileno, capital of the Waletku kingdom of the Elves. The wanderers continued their research into the legends of Vappu Lahja, sought allies against her belligerent Centaurs and the Ghost Fleet, and compared notes on Gnomish airships. “King Ereval I” [Steve A.L./Non-Player Character] approved their missions and agreed to join Elsa’s long-range communications network. Giacomo prepares another Contingency spell to Polymorph his homunculus familiar Gerald into a dragon. Corwin readies a similar Invisibility for himself. Elsa recommends parleying for a truce with Vappu Lahja. At the Royal Air Corps, Rhys compares notes on airships with fellow Gnome Artificer Flap… and tactics with Quelanthi (High Elf) Paladin “Jiriki” [Jon W.P./N.P.C.]. Scully continues talking with refugees at the Ranger Guild headquarters. As the adventurers head back to “Tabby’s Tavern,” a rare Avariel (winged Elf) steps out of the shadows and accosts Rhys. Tarwen says that she has heard Elsa and company debating tactics and asks to join their quest. Hifalendorin human Giacomo is wary, but Elsa notes that King Ereval is mobilizing the Waletku kingdom’s troops to defend its southern border against rebel fey. 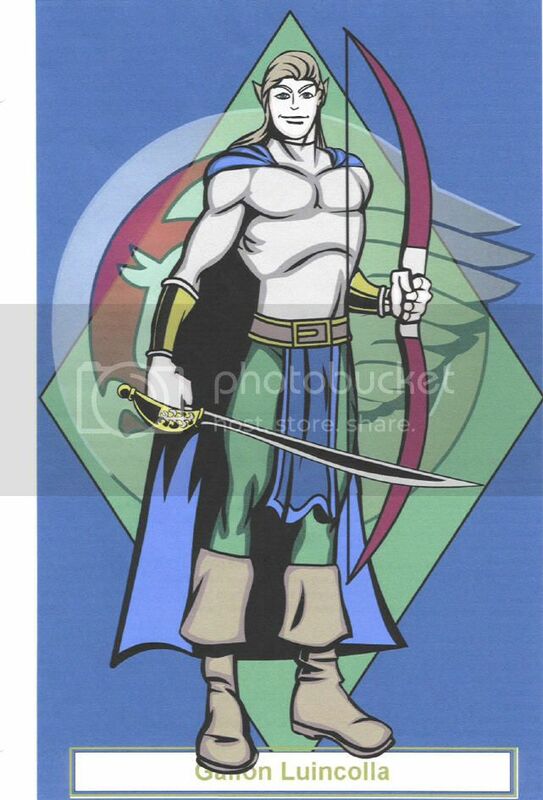 Half-Elf Corwin gives Tarwen glass and magical arrows, as well as a healing potion. Rhys gets Tanglefoot Bags and Thunderstones in addition to the party’s Wand of Silence. Elsa casts Message to tell the Zephyr to meet the group on the northwestern Plains of Sathendo. The Hill Dwarf then uses Transport via Plants to get the team near the town of Kedetura. Flind Scully is happy to be reunited with “Capt. Niac” [Mike F./N.P.C.]. The Zephyr and crew spend the night about a day’s ride from Kedetura. During the third watch, a slick-skinned humanoid Teleports onto the airship’s deck. The first quarrels from Rhys’ and Tarwen’s crossbows miss, and the foul assassinCalls Lightning against the Avariel. Corwin dons his armor, and Elsa identifies the Grimm as similar to a creature they fought recently at the haunted hamlet of Alarn. Giacomo heads up from his cabin, and Rhys and some sailors head to a ballista. Corwin quaffs a potion of Improved Invisibility and casts Displacement on himself. Elsa Wild Shapes into a bear and charges at the Grimm, which rakes her with its claws. After missing again, Ranger Tarwen runs to another siege engine, and Wizard Giacomo casts Chains of Light. Rhys runs down to the Zephyr’s boiler and melts an ingot of cold steel. He and his assistants coat some ballista bolts with the reddish antimagical alloy. Meanwhile, Bard Corwin closes and casts Displacement on Elsa. The Druid’s Gust of Wind doesn’t affect the Grimm, whose talons dig into the wooden deck. Ursine Elsa casts Sunbeam and bites the Unseelie fey. The Grimm Teleports back and counters with Darkness. Frustrated with the ineffectiveness of regular bolts, Tarwen picks up an anchor and flies up. She drops it, splintering the deck, but the Grimm dodges the anchor. Scully supervises damage-control efforts, and Capt. Niac tries to keep the crew out of harm’s way and the ship from further notice. Giacomo casts Mage Swordand Dispels the Darkness. Rhys runs up and begins firing the bolts tipped withcold steel . Prince Corwin tries to distract the Grimm from Elsa with sword and dagger, as Elsa falls back to heal her allies with a Positive Energy Burst. The monster swings at Corwin, but Tarwen inadvertently shoots herself. Giacomo successfully casts Ray of Enfeeblement, and Rhys’ ammunition gets help from Corwin’s Magic Missiles and Storm Bolts. Tarwen manages to finish off the Grimm. Corwin finds and reluctantly turns over a Sickle of Disembowelment to Niac so that the Wolfen Paladin can destroy the evil weapon. At Giacomo’s recommendation, Rhys forge cold steel manacles to deal with Vappu Lahja or her followers. Corwin tells Tarwen tales of the pale lady, whom three warlords supposedly courted while their men killed one another when she refused to pick one. Elsa is unsure of how to proceed into Kedetura. The next morning, two Centaur scouts hail the Zephyr. The command crew slides to the ground. 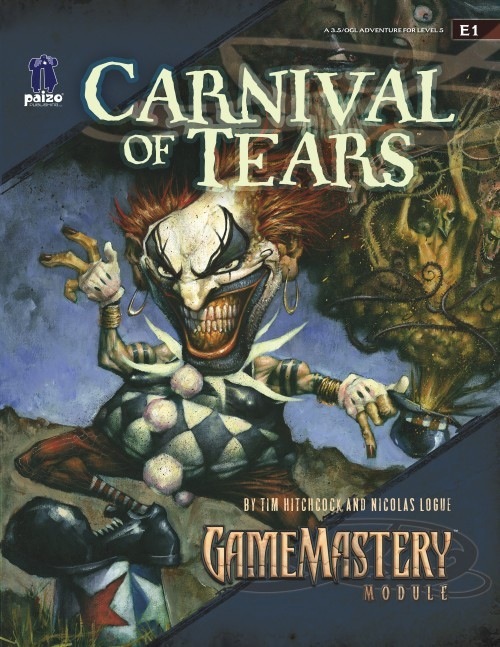 Nikodemus and Phyto invite them to see the “Carnival of Tears,” which is performing in the town. The travelers ask for a day’s delay (so the spellcasters can rest). While Giacomo, Corwin, and Elsa argue about the best way to approach and defeat Vappu Lahja, Rhys and Tarwen decide to infiltrate Kedetura. Giacomo disguises Gerald as another Gnome to join them. Despite being invisible thanks to a magical ring, Tarwen encounters a faerie dragon while flying after Rhys and Gerald. It asks her for apples and then departs. The trio then passes through wheat fields and a tent city outside Kedetura. 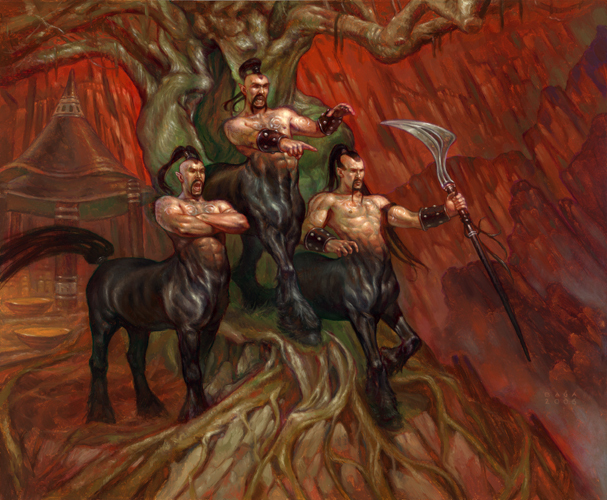 The Hifalendorin humans and Harfoot Halflings displaced from their farms are strangely unperturbed to be living alongside Centaur and Satyr raiders. Rhys and Gerald pretend to be would-be followers of Vappu Lahja as they enter the walled town. Gerald recognizes some performers from Vistel’s Circus whom they hope to rescue. Rhys and Tarwen strangely disregard the potential peril as they see carnival tents around the market square. Tinkerer Rhys is curious about the “Modern Engineering” tent and enters, followed by invisible Tarwen and “Gnome” Gerald. They are horrified to see human lumberjacks and carpenters being tortured and executed in a makeshift saw mill by malevolent Ice Brownies. Less apathetic than other spectators, Tarwen flies to Rhys and Gerald and picks them up. The Unseelie fey see the two lifted in midair and try to close the tent flaps. Tarwen makes a narrow escape and heads back to the Zephyr. Giacomo says the infiltrators have gathered good information, but they were susceptible to whatever compulsion is fueled by a nearby ley line node. Corwin wants to take the offensive, and Elsa acknowledges that peace talks are unlikely. Gerald reports that survivors from Vistel’s Circus are scattered around Kedetura, and Rhys works on his clockwork automatons. Scully believes the Zephyr and its crew will be needed for any rescue mission. Tarwen mentions a statue of the pale lady near the center of town. Dana, I hope you enjoyed your first full session, and I look forward to having you sit in on our next game! Sara, we missed you, but I hope you’ll be able to rejoin the face-to-face group soon. Everyone should remember to update their P.C.s to Level 12. In the meantime, I look forward to the next sessions of Dexter V.H.‘s D&D5e “Land of Lost Souls” and Jason E.R.’s FAE “Channel 37,” while we take a break from the “New Dawn” telecom team. Posted on January 18, 2015 by GeneD5Posted in Fantasy & Steampunk, Games, Vanished LandsTagged D20, fate, legends of anglerre, Party 39, pathfinder, rpg, update, Vistel's Circus, Vistel's Expedition. In one ancient world, there was a region where strange majicks and demihuman races thrived. The “Vanished Lands” were blessed by the gods and cursed by prophecy. Travelers became adventurers, and adventurers strove to be heroes in the face of many perils and wonders. 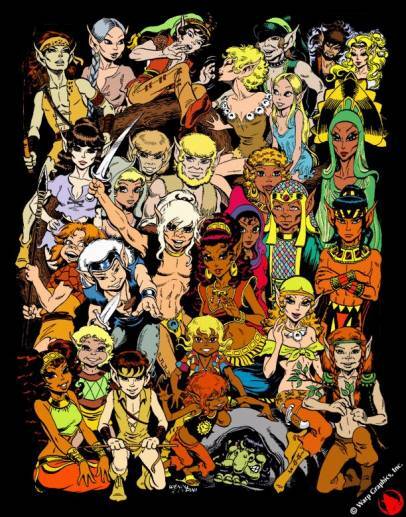 One such band began as circus performers, became defenders of the kingdom of Saganim, and voyaged aboard the Zephyr…. “12 to 15 May 1227 B.C.E. :” “Vistel’s Expedition” slayed a gruesome Grimm and fought a band of Grugach (Wild Elves) while crossing the northwestern Plains of Sathendo. Both Unseelie Fey were apparently in league with Vappu Lahja, the mysterious woman stirring up strife among nearby Centaurs. Druid Elsa prays to Mekkil (Gaia) for extra help with Transport via Plants, and the adventuring party arrives at the heart of the Wisalef Forest. The white walls and tall spires of Alfhileno, capital of the Waletku kingdom of the Elves, are visible through the trees. Giacomo senses strong magical energies nearby. Scully sniffs and smells late-spring flowers before sending Owlicious off to hunt. Rhys secures his clockwork automatons in his Bag of Holding. Corwin leads the way to the nearest gate. Half-Elf Corwin points out the flets or talans, the arboreal platforms where most Quelanthi (High Elves) live. In the shadow of the lofty palace, the group scatters across broad, tree-lined lanes. Giacomo visits the embassy of his homeland, the (proto-Western European) human kingdom of Hifalendor. The Wizard talks with Sir Nigel, who explains that the Centaurs have served as a buffer between Hifalendor and the barbaric tribes of the Gusorin Confederation. Scully searches in vain for fellow members of the Order of the Golden Lion. She then goes to the headquarters of the Ranger Guild. At a large lodge, the Flind finds refugees from the villages that Vappu Lahja’s followers have raided. Corwin checks in at the embassy of the (proto-Celtic) human kingdom of Saganim to get help obtaining a royal audience. He meets Lady Kaitlin Ashley, who turns out to be his aunt! They catch up, and she refers him to Arlas, a Sylvan Elf Bard at the temple of Brijitt, goddess of fire and poetry. Back in Hill Dwarf form, Elsa walks to the Grove of Mekkil, where she meets other priestesses of the goddess of nature. 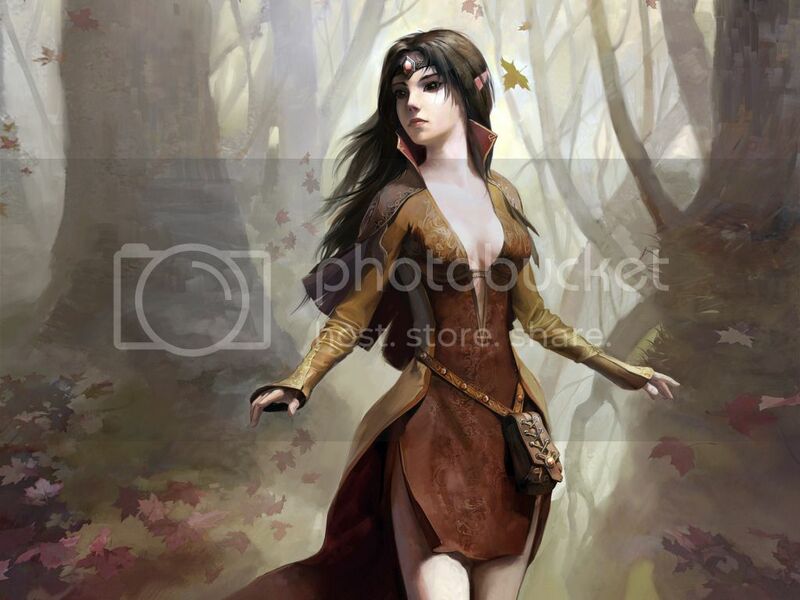 Quelanthi Inrawel says that any who would follow Vappu Lahja rather than the Seelie Court should be dealt with severely, and Sylvan Elf Valine believes that as many as a third of Druids have been corrupted. Rhys finds the bustling Gnomish guildhouse on Faerie Lane. The Minoi (Tinker Gnome) asks “Koja…” [Mark D.L./Non-Player Character] about experimental airships. The Rock Gnome metalsmith refers him to “Pruts…” [Patrik D’H./N.P.C.]. At the local Magisterium (magic school/library), Giacomo asks “Charon Galacticus” [Carlos C./N.P.C. ], a onetime member of the “Children of the Elder Gods,” about the tales of Vappu Lahja and scrying her current whereabouts. 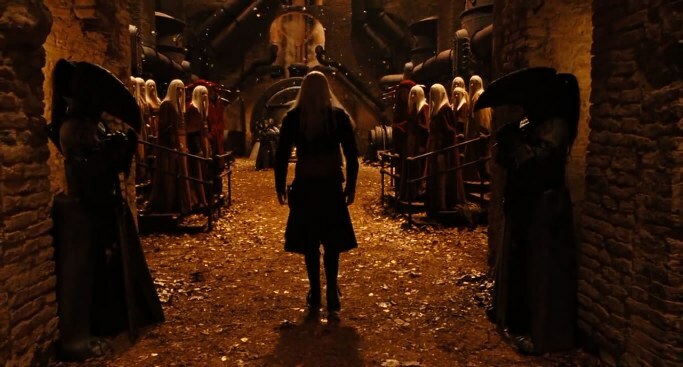 They speculate that the Drow of Zuromm could be manipulating the Unseelie Court. Scully accepts Soval’s offer to join Alfhileno’s Ranger Guild. The Grey Elf introduces her to “Rory” [Beruk/N.P.C.] and “Ewan” [Rich/N.P.C. ], an angry Hifalendorin human and a Harfoot Halfling farmer, respectively, who lost their lands to militant Centaurs. Scully also meets “Dionysus” [Bruce/N.P.C. 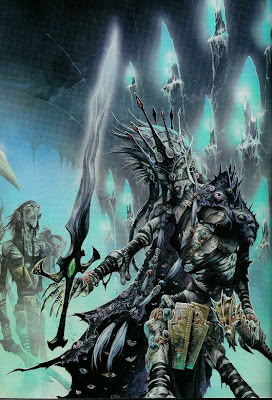 ], an older Centaur still loyal to the Waletku kingdom but sympathetic to his kin, and “Malekith” [Drew/N.P.C. 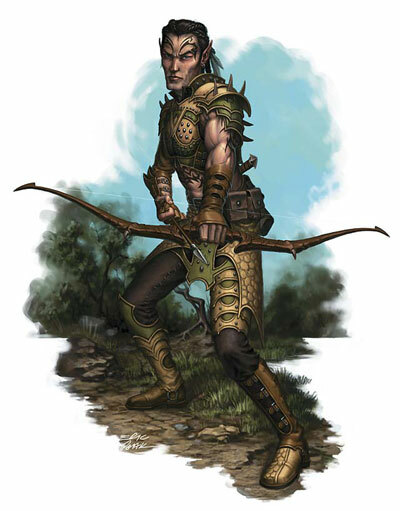 ], an armored Sylvan Elf. “Lord Galion Luincolla” arrives and wonders why nobody is alarmed at a Gnoll in their midst. Soval reassures his superior that Scully is a defender of the wilds and the innocent. Arlas agrees with Corwin and Giacomo that there are similarities between the legends of Vappu Lahja and “Capt. Jack Kildare” [Randy K.M./N.P.C. ], leader of the Ghost Fleet. Both were cursed decades ago but somehow found a way to gain followers despite their long exiles. Corwin thinks about visiting the consulate of the nefarious kingdom of Zuromm. Meanwhile, Elsa talks with some exalted animals at the Grove of Mekkil. Badger “Tucker” [Drew/N.P.C.] reports that some forest animals have moved to follow the “White Lady” (Vappu Lahja). Rabbit “Cracker” [Bruce/N.P.C.] says that the territory now controlled by Centaurs and Satyrs is strangely peaceful, which he doesn’t like. Elsa suspects witchcraft in addition to clever political appeals. Wolf “Wynona” [Sara/N.P.C.] hates the rogue Fey who slaughtered her pack, but “Bob” the bear [Beruk/N.P.C.] smokes a pipe and tries to keep a mellow attitude. Prince Corwin eventually receives a summons to palace. Lady Cynthia Acheson, a Quelanthi Paladin of Corellan Larethian in mithril armor, brings him and Giacomo through glittering halls. Soft music fills the air. Beneath a scion of the Tree of Life are courtiers including Wizard “Xander Sunspot” [Rich/N.P.C. ], representatives of various Elven tribes such as the winged Avariel, and proud Centaur tutor “Lord Naresh” [Drew/N.P.C.]. Most petitioners are surprised when a scruffy Half-Elf scout sits on the throne. “Giacomo, king of jesters and jester to the king” [John Z.G./Beruk/N.P.C. ; apologies to The Court Jester ] announces “Ereval I” [Steve A.L./N.P.C. ], bearer of sword Black Razor and high king of the Waletku kingdom and the Seelie Court. The wise Ranger once known as “Mouse” tells Corwin that their fathers, Halikos Kelannir and Edmund the Strong, once traveled together. Corwin asks the Elves to join the naval alliance against the Ghost Fleet. King Ereval notes that the Thalassaquendi (western Sea Elves) do not acknowledge him as ruler, but he agrees to provide materiel to neighboring realms. Giacomo asks on Elsa’s behalf if the Waletku kingdom would participate in her nascent long-range communications network. Xander says the Quelanthi already have access to powerful magic, but Ereval grants “Vistel’s Expedition” access to Alfhileno. The king also orders the immediate mustering of troops to the border to contain Vappu Lahja’s followers. Alchemist and former “Dragonslayer” Pruts… tells Rhys that his brother Flap… works for the Royal Air Corps. But first, the Tinker Gnome regroups with his companions at “Tabby’s Tavern” among the restaurants of the Halfling Quarter. The command crew of the Zephyr compares notes on what it has learned in Alfhileno and how to help Hifalendor with the Centaur uprising as part of its strategy against the Ghost Fleet. Giacomo and Corwin prepare a Contingency spell of Greater Teleport for whenever they meet Vappu Lahja. Scully, who is now a member of Saganim’s Royal Society for Cartography, the Order of the Golden Lion in the Ebir Sheikdom, and now the Waletku Ranger Guild, is eager to get back to “Capt. Niac” [Mike F./N.P.C.]. Elsa recommends trying to parley with Vappu Lahja, since her forces are numerous, and the Elves don’t want to fight fellow Fey folk. The diplomatic Dwarf considers commissioning a portrait of the pale lady or buying a magic mirror. Skeptical Corwin agrees to find or compose a favorable version of Vappu Lahja’s fairy tale. Rhys invites Elsa to join him at the Royal Air Corps. They are awed by the pegasi, gryphons, and other steeds ridden by Quelanthi cavalry. Gilda Swanmay says that the Elves once had more contact with metallic dragons, but many were slain in past wars. The officer takes Rhys and Elsa into a large hangar. “Sir Elandor Lightblade” [Mark B./N.P.C.] greets the visitors and offers curious Elsa a Pegasus ride. She quickly accepts and gets an aerial tour of leafy Alfhileno. Rhys is happy to compare notes with Pruts’ brother Flap, who says other experimental vessels patrol the Waletku kingdom’s northern frontier. Rhys also shows off his clockwork butler Vasco, which attracts much Gnomish attention. Mischievous Rhys also jokingly trades insults with “Jiriki i-Sansorei” [Jon W.P./N.P.C.] about how the wooden H.M.A.S. Longshot II is inferior to the Zephyr, which has a metal hull. 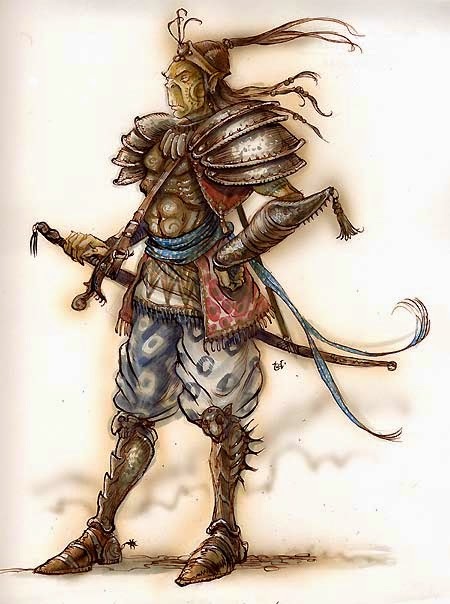 The Paladin retorts that his vessel has been battle-tested and has a crew of Elven knights. The Zephyr’s away team prepares to head back to the Plains of Sathendo to rescue their former traveling companions in Vistel’s Circus from Vappu Lahja and deal with her minions’ growing raids on Hifalendorin farming communities…. This session is dedicated to the memory of Steve A.L. 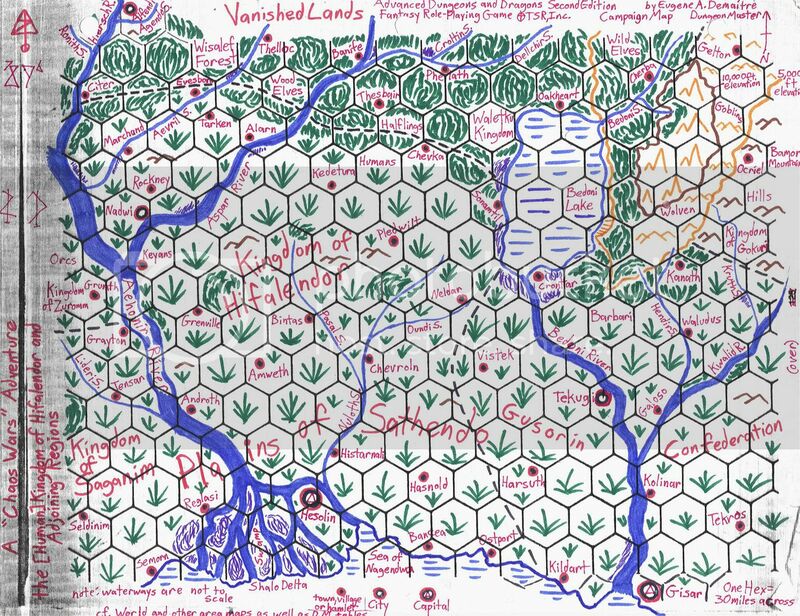 I look forward to seeing most of you at tonight’s “Vanished Lands: A New Dawn” telecom game, Jason E.R.’s “Channel 37” dimension-hopping scenario tomorrow, or upcoming “Vistel’s Expedition” sessions. Posted on January 4, 2015 by GeneD5Posted in Fantasy & Steampunk, Games, Vanished LandsTagged D20, fate, legends of anglerre, Party 39, pathfinder, rpg, update, Vistel's Circus, Vistel's Expedition, Zephyr. “8 to 11 May 1227 B.C.E. 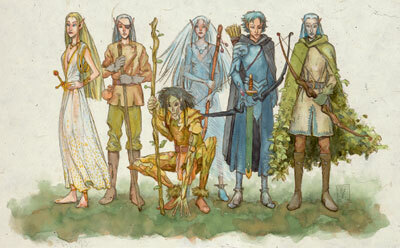 :” The adventurering party left the Zephyr in the city of Nadwi and ventured across the Plains of Sathendo. 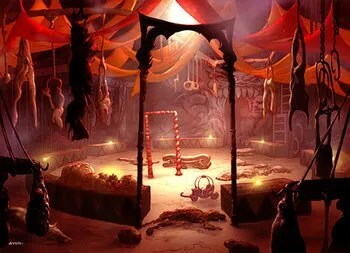 They spotted an Orcish camp and entered the haunted hamlet of Alarn, where they found a Redcap who had murdered five of their former companions in Vistel’s Circus. The Redcap escaped, but the onetime carnival performers were able to resurrect their friends, if not restore their severed hands. “Vistel’s Expedition” sent them to the relative safety of Nadwi and called for its airship to evacuate the remaining traumatized peasants. Giacomo prepares another Contingency spell for his familiar Gerald. Scully scouts ahead, while Corwin and Rhys ride in a reclaimed circus wagon. Elsa Wild Shapesinto an eagle, joining her winged cat Penryn and Scully’s owl Owlicious in the air. After about a day’s ride southeast, the travelers spot a large humanoid loping from the direction of Kedetura toward their caravan. Wizard Giacomo castsShield on himself and identifies the creature as a fierce Grimm, another Unseelie Fey. Ranger Scully readies her long bow, and Bard Corwin casts Comprehend Languages and Displacement on himself. Druid Elsa shifts into a dire bear and casts Enlarge Animal on herself. Gadgeteer Rhys checks his clockwork automatons and loads his crossbow. The Grimm and Elsa charge and rend each other with claws and teeth. Scully looses a volley of arrows as Corwin casts Greater Heroism on Elsa. Giacomo hits the beast with Magic Missiles, but Rhys’ first quarrels miss. Flind Scully casts Protection From Evil on Elsa to protect the Hill Dwarf from the Grimm’s fell aura. The muscular monster Calls Lightning, but the dire bear avoids the blast. Elsa continues wrestling with the Grimm, and Half-Elf Corwin casts Displacement on her. Hifalendorin human Giacomo’s Phantasmal Killer has no effect on the gruesome Grimm. Tinker Gnome Rhys tries hurling bars of “cold steel,” a reddish antimagical metal alloy, but they fall short. In between firing more arrows, Scully attends to Elsa’s wounds. 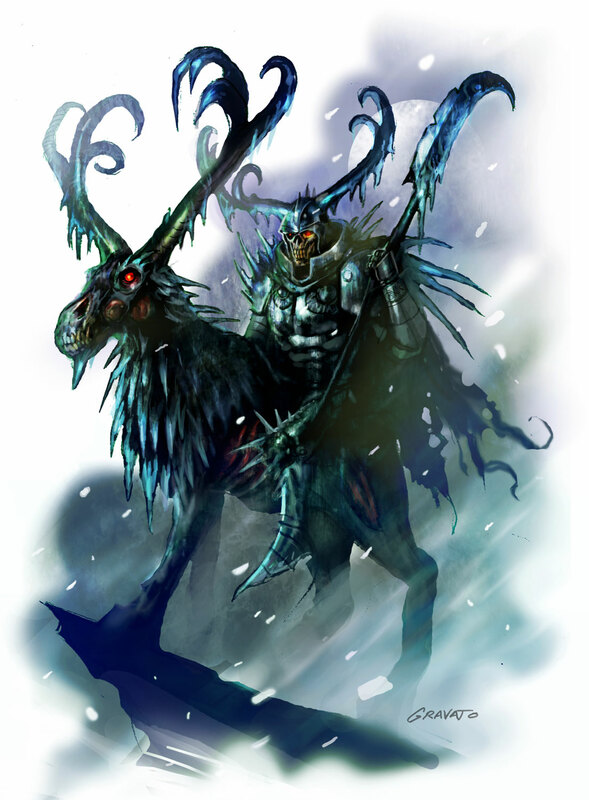 The slavering Grimm Ethereal Jaunts from Elsa to Corwin but is slowed by his Stun Bolts. Giacomo casts Acid Arrow and more Magic Missiles. Elsa finishes off the tough Grimm and shifts back to demihuman form to make sure its carcass is incinerated. Rhys claims an enchanted katar (punching dagger, 1d8+2), and Giacomo detects an evil sickle. Elsa casts Lesser Restoration to help Corwin regain his strength, and the Zephyr crew members resume their journey to rescue the rest of Vistel’s Circus from the Centaur followers of the mysterious Vappu Lahja. Sometime later, Scully and Elsa see five Elves riding stags. Giacomo and Corwin recommend caution, while Elsa argues that they need allies against the forces of evil. Scully says that learning more about the area is worth some risk, and Rhys plans to make puppets resembling argumentative Corwin and Elsa. Corwin uses his Hat of Disguise to appear as a full Elf, and Elsa hails the riders wearing fringed buckskins and feathers. The Grugach (Wild Elves) treat the team as intruders in their territory, even though they’re all in the human kingdom of Hifalendor. Giacomo and Corwin are annoyed when Elsa mentions that she’s looking for former traveling companions, as Scully and Rhys hang back and watch the Grugach. Uller Tolvo says that his patrol has been hunting for exotic animals for a circus. Antero Korkonen doesn’t seem surprised when Elsa warns of an Orcish warband from Zuromm nearby. Asser Rantasila notes that creatures such as the Grimm have been seen in the borderlands, and Heikki Makinen doesn’t respond when the Druid offers the blessings of Mekkil (Gaia). Scully sniffs for clues. Pasi Vanhala doesn’t mention Vappu Lahja by name, but the explorers suspect that the Grugach are in league with the woman claiming to be a figure from a fairy tale. They continue riding their separate ways. Elsa casts Pass Without Trace as Scully finds a defensible position. Elsa then casts Grove of Respite to create a restful (and alarmed) campsite. Giacomo and Corwin take the first watch for the night and notice that fewer animals than expected are moving on the grasslands. Scully and Rhys don’t set a fire during their watch. On the third watch, Elsa and Rhys sense people sneaking up on them from all directions. Elsa again Wild Shapes into a burly bear, wakes the others, and dispels the grove. Diminutive Rhys climbs up on the bear for a better vantage point. Stealthy Corwin casts Displacement on himself, and Rhys whistles to send his constructs to beat the bushes. Wary Giacomo casts Mage Armor, and Scully says, “I’m done being Ms. Nice Elephant” as she Wild Shapes into an animal she saw in the Zarendo Islands. The Grugach shoot flaming arrows, injuring Corwin and Scully. Elsa casts Entangle, slowing the Wild Elves, and Corwin retaliates with a Fireball. Rhys again misses with his crossbow, and Giacomo casts Magic Missiles at Heikki and Pasi. Singed Antero and Pasi shoot Scully, Antero and Uller hit Elsa with arrows, and Heikki targets Giacomo. Corwin runs to Pasi and hits the injured Elf twice. Elsa casts Greater Dispel Magic in case the Grugach are somehow ensorcled by Vappu Lahja, but she notices no immediate effect. Rhys recalls his automatons, while Giacomo activates his Contingency spell, again causing homunculus Gerald to take on the Form of the Dragon. Heikki runs but is caught by the gold dragon. Scully charges, and the Grugach fire at her and Gerald. Elsa casts Wind Wall to deflect further arrows and orders the Elves to stand down. They lower their bows. Giacomo has Gerald release Heikki. Corwin angrily asks the hunters why they attacked. Asser says that Vappu Lahja will eradicate all “civilized” interlopers on the plains. Scully and Rhys keep an eye on Antero, Pasi, and Uller. Elsa prays to Mekkil for a Positive Energy Burst, healing her allies, and she covertly casts Remove Curse in another attempt to disrupt Vappu Lahja’s sway. With Gerald still overhead, the Grugach back off. Giacomo reiterates the need to keep a low profile while searching for the captive Vistel’s Circus. Scully keeps watch for the Grugach, and Corwin wants to confront Vappu Lahja. Elsa, however, notes that the sorceress may have many followers and that they need to find out more about the situation in the borderlands. Rhys points out that Giacomo and Corwin’s Teleport spells could be dangerous because of a certain Pit Fiend looking for them. The wanderers discuss visiting the Waletku kingdom of the Elves in the Wisalef Forest, which is just north of Hifalendor. Corwin states that his mother was once respected in Alfhileno, the distant capital. Giacomo is reluctant to stay anywhere for long, and Scully worries about Elven prejudice against humanoids like herself. Rhys is curious about rumors of other Gnomish airships. Elsa is interested in expanding the alliance against the dreaded Ghost Fleet and her nascent long-range communications network, so she begins preparing a fewTransport via Plants invocations…. Happy Birthday, Rich! 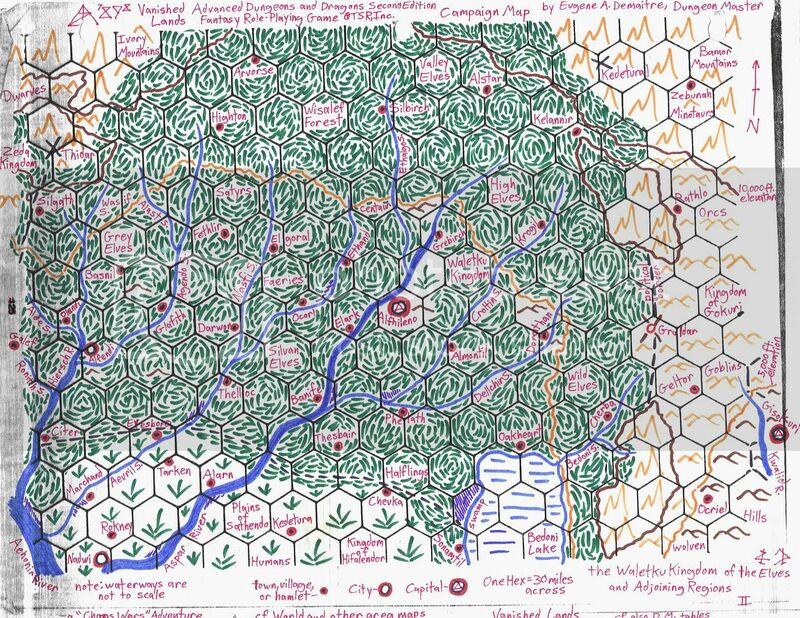 I hope that everyone enjoyed our latest face-to-face “Vistel’s Expedition” sessions, and I look forward to continuing this fantasy campaign early next year! The “New Dawn” telecom team should resume this coming weekend. I also look forward to concluding Rich’s “Tunnel Vision” modern supernaturalminiseries next Monday and to starting Jason E.R.’s “Channel 37” speculative fiction anthology. In the meantime, make sure your character records are up to date on Obsidian Portal, and stay in touch…. Posted on December 11, 2014 February 16, 2016 by GeneD5Posted in Fantasy & Steampunk, Games, Vanished LandsTagged D20, fate, legends of anglerre, Party 39, pathfinder, rpg, update, Vistel's Circus, Vistel's Expedition.